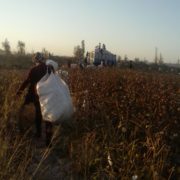 On October 22, 2016, the journalist and human rights activist Malokhat Eshonkulova and human rights activist Elena Urlaeva, members of the activist group “Fearless”, were carrying out a mission to identify evidence of the use of forced labor during the cotton harvest in the Akdarya district of the Samarkand region in Uzbekistan. 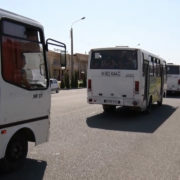 According to Malokhat and Elena, they found that doctors and nurses had been taken from the centre of the village of Laish and transported by buses and cars to Mukimov’s cotton field in Yangikurgan. Malokhat Eshonkulova talked with the medical employees and recorded some interviews. 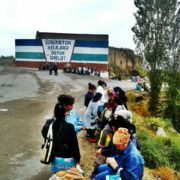 Most of those who had been sent to the cotton field were the nurses of Akdarya’s public health care department. 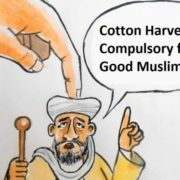 Malokhat recorded about twenty interviews covering stories of how doctors too had been forced to pick cotton seven days a week over the past two months. Then Malokhat and Elena went to look for the cotton field where doctors were harvesting cotton. However, shortly after they got there, cars arrived and a number of men and women got out. They actively tried to block the movements of the “Fearless” group. “The women snatched Malokhat’s bag and eventually seized her too. They tore her clothes and demanded that she strip right beside the road as they wanted to search her and take away the equipment and the memory stick”, Elena Urlaeva told “Fergana”. Soon after the police arrived. They eventually took Malokhat and Elena to the police station No.194 in the village of Yangikurgan. Malohat and Elena were detained there for more than 6 hours. The police and the women accused Malokhat and Elena of espionage, illegal access to the cotton field and of taking photographs. They were aggressive and insulting. Elena and Malohat were exposed to repeated searches and were forced to strip naked. Then, a woman in civilian clothes examined Malokhat and Helena as well as their clothes. Malokhat and Elena found out that the Makhalla leader of Yangikurgan village, Normurod Muhamadiev, and the Posbon, (the Makhalla leader’s assistant) Akmal Umirzokov, took part in the intervention. Eshonkulova and Urlaeva were released at 6 pm without any charges. However police erased all the information from a mobile phone, a camera and notepads. Malokhat Eshonkulova and Elena Urlaeva believe that the attack was deliberately prepared by the Akdarya district authorities in order to conceal information about forcing doctors and teachers to participate in the cotton harvest. 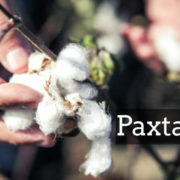 “Fearless” intends to continue to monitor the cotton campaign in Uzbekistan.